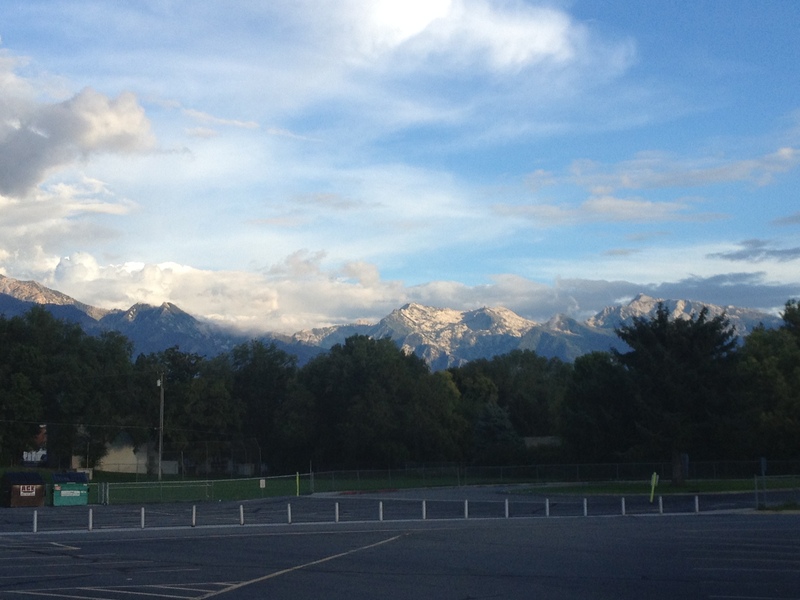 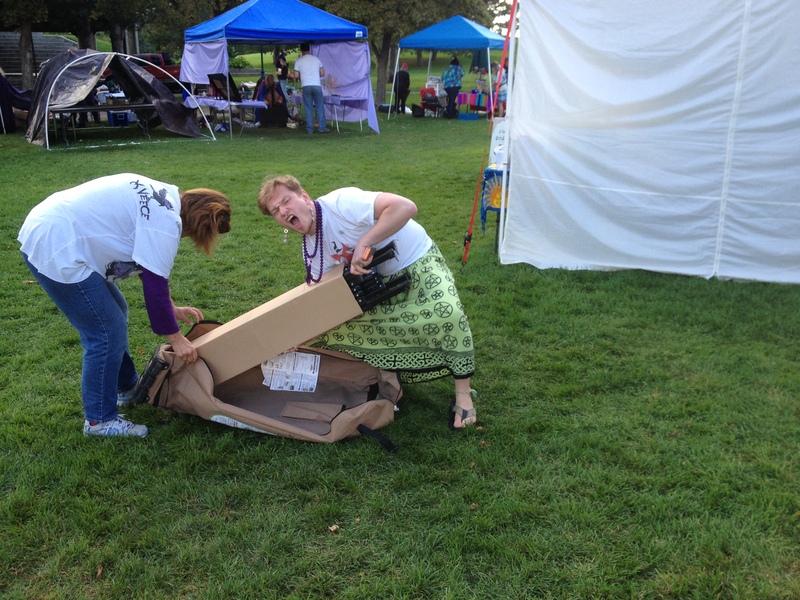 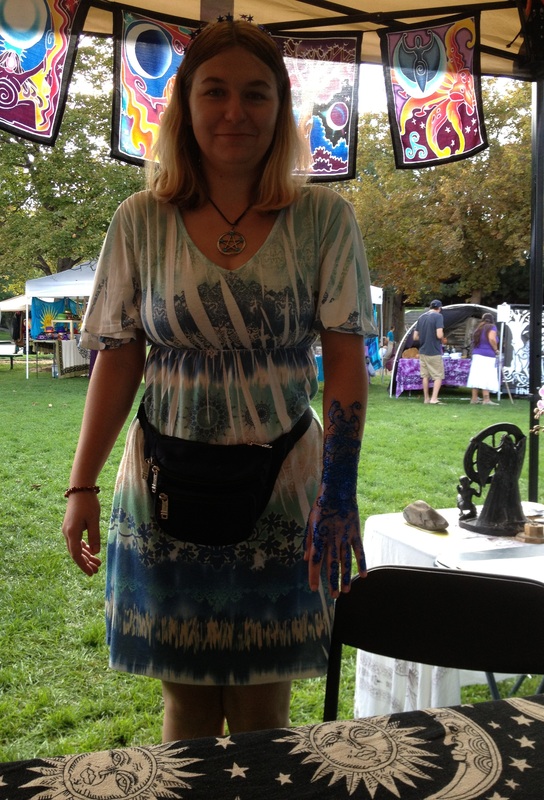 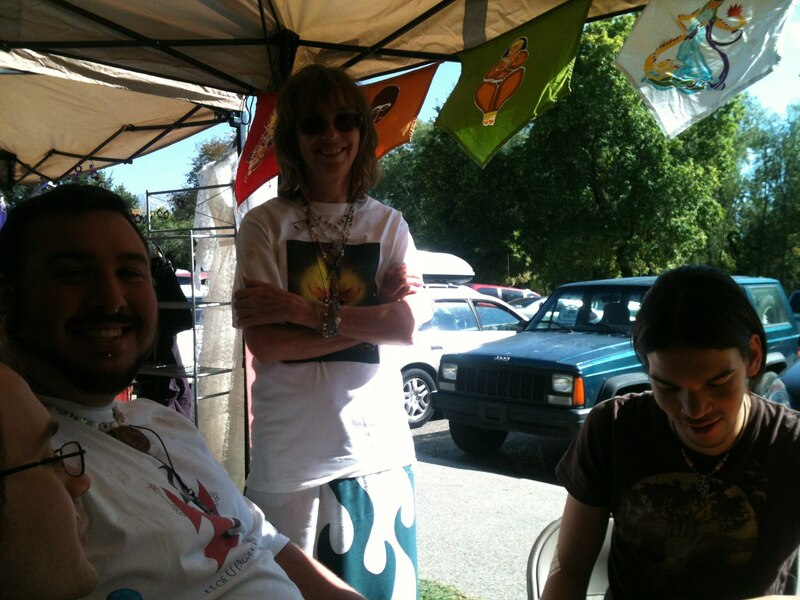 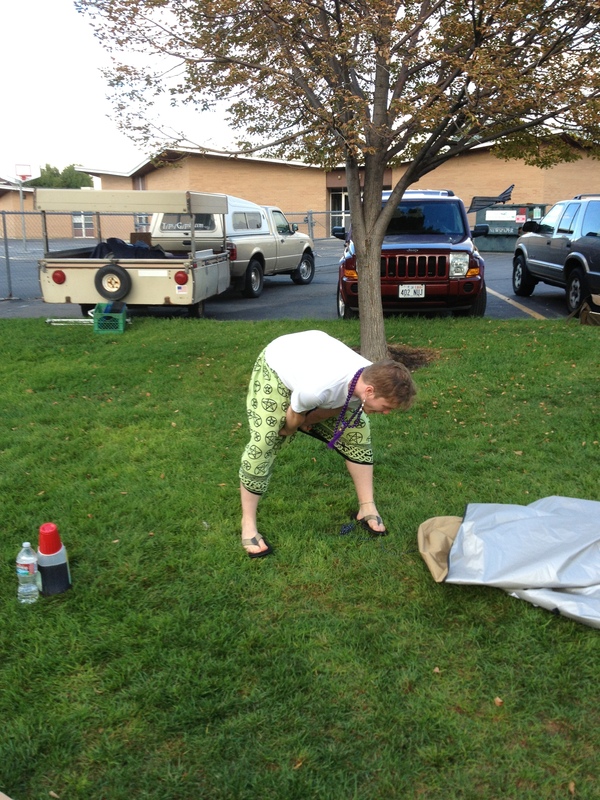 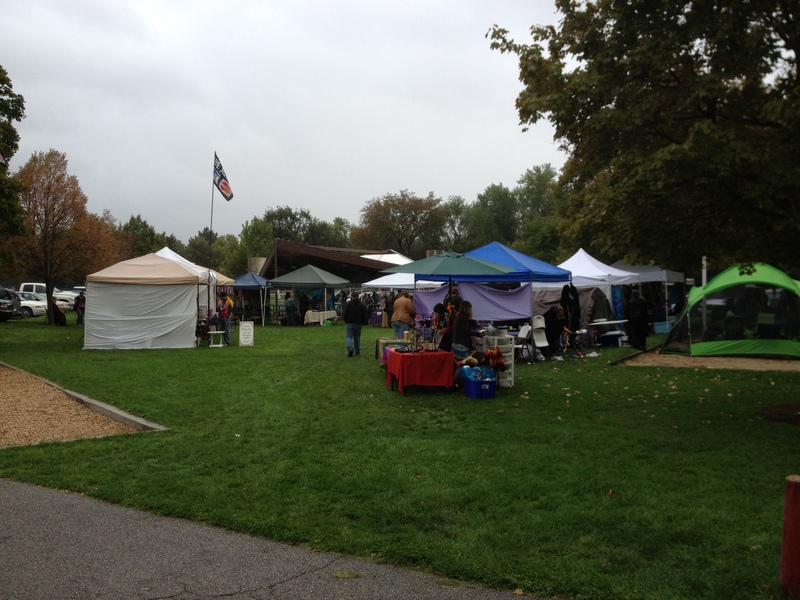 Salt Lake Pagan Pride Day 2012~ A Blast! 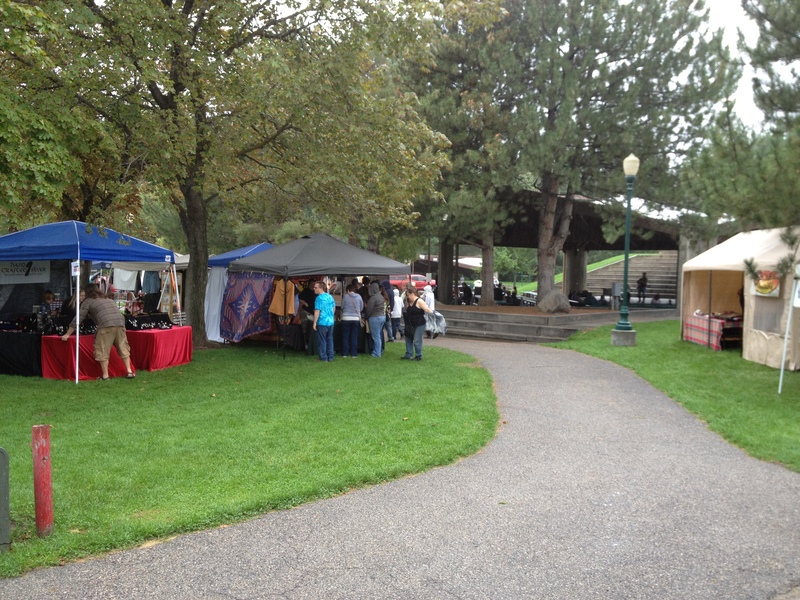 What a wonderful opportunity the U of U Pagan Society had this past Sunday, September 9, 2012 to table and have a booth at the 11th annual Salt Lake Pagan Pride Day in Murray Park. 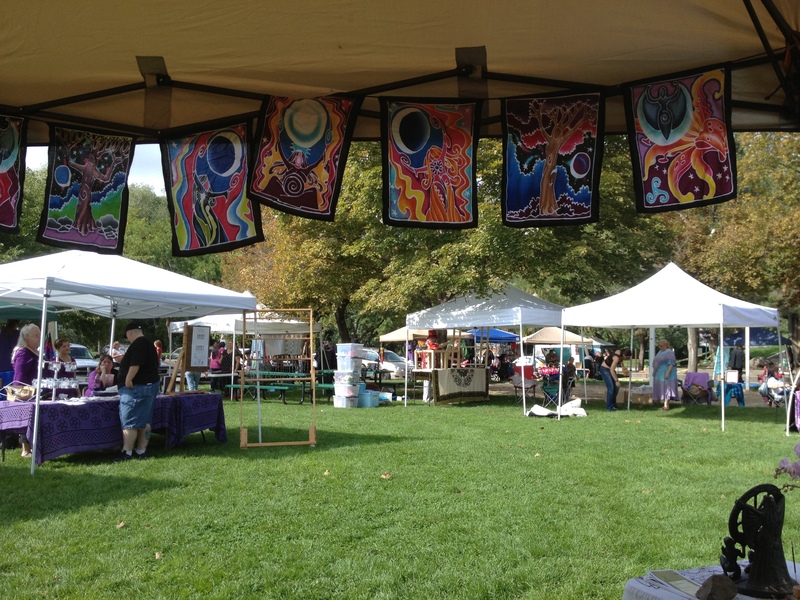 After getting lost a few times and finding the access to pavilions 1,2, and 3, everything was set up by 9:45, just in time for everyone to get there new UUPS t-shirts on and for the festival to start at 10am. 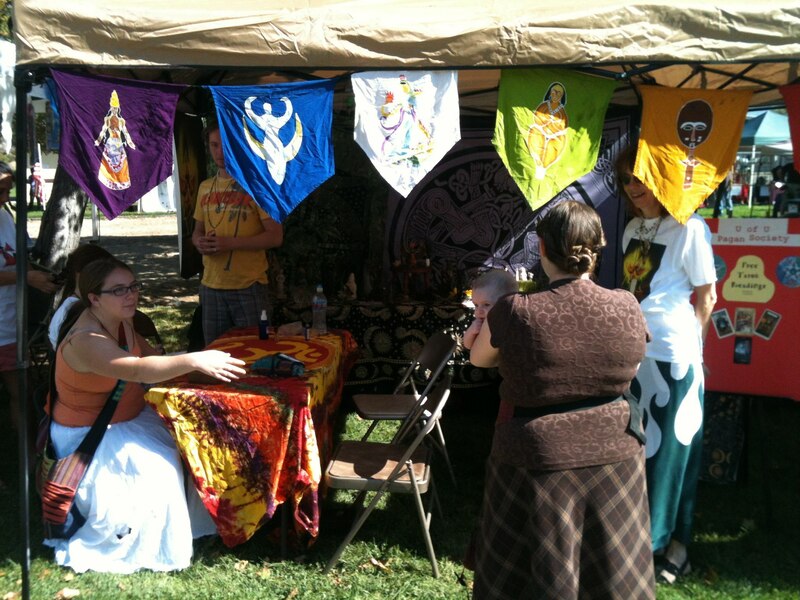 The opening ritual of the festival included a simple dancing ritual by the members of Earth Haven Coven and Crone’s Hollow. 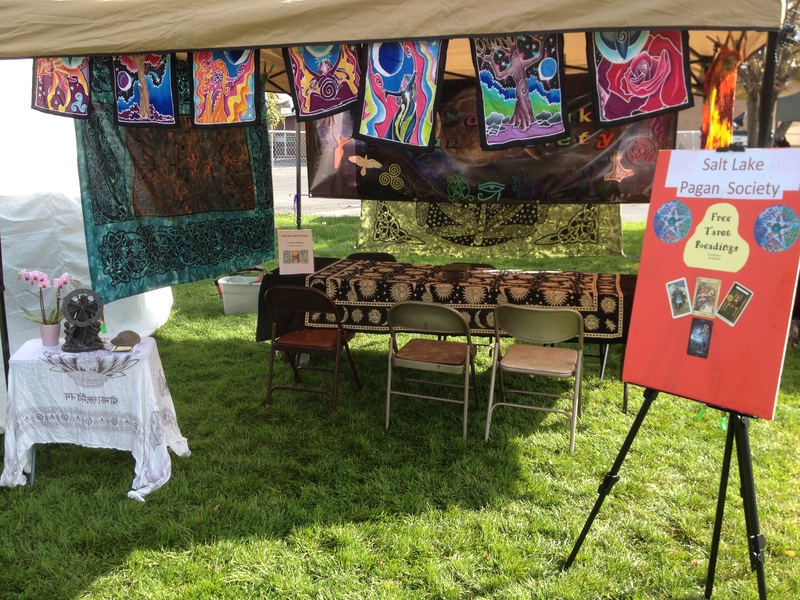 Shortly after the ritual, flocks of people came to the booth to to receive free tarot readings as well as to see the big joint altar set up by UUPS and one of the sister groups of UUPS The Iseum of the Divine Feminine-Fellowship of Isis. 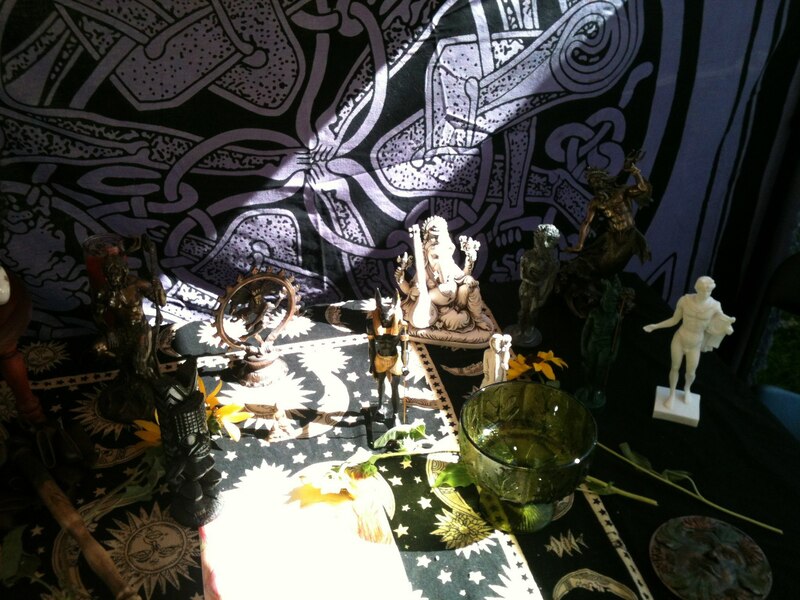 Thinking statues were for sale, several members had to be one watch to make sure none of the gods and goddess tried to leave with curious patrons. 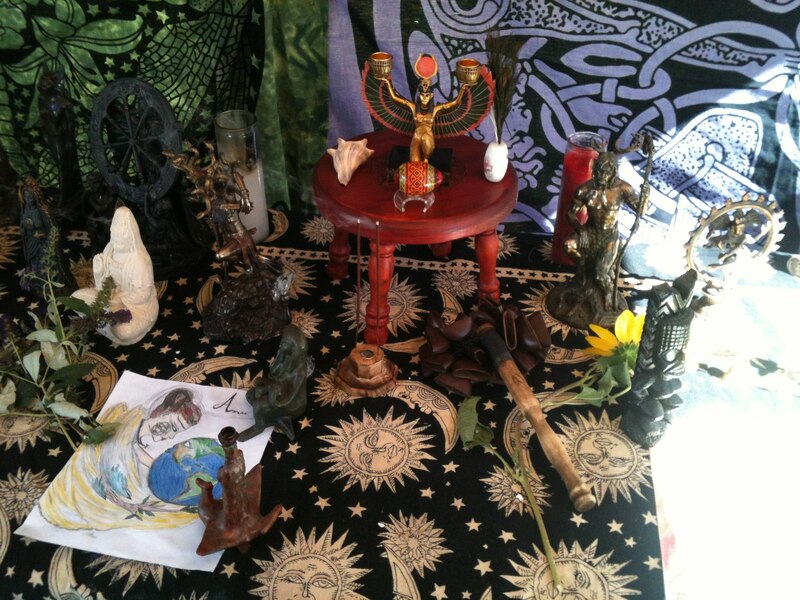 At noon, a thelemic ritual was performed by two members of Horus Oasis O.T.O. 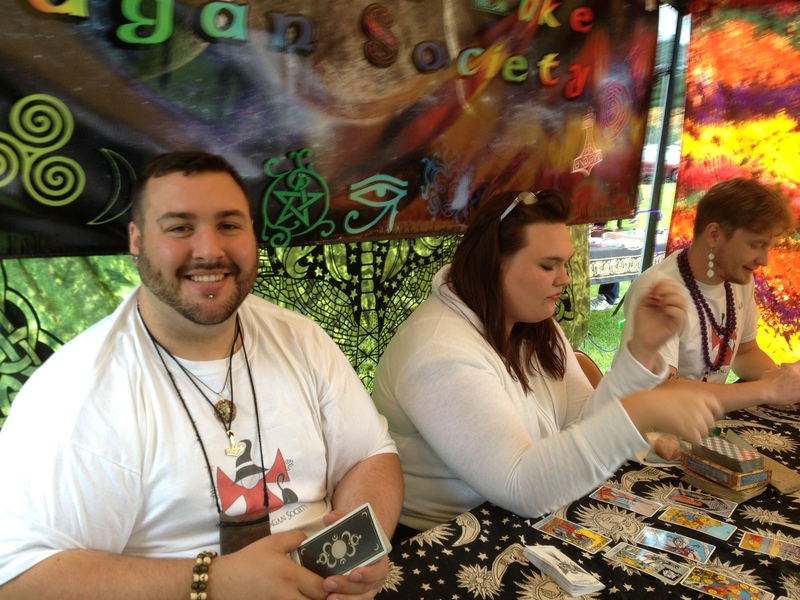 right next to the booth… it was quite interesting trying to read the tarot with all the “hail Horus and AGLA”s!! 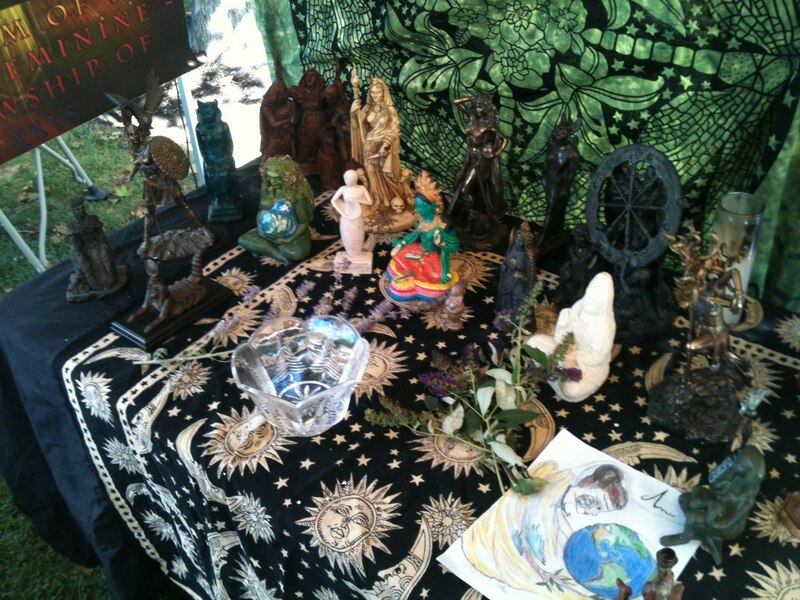 A few people did utilize the opportunity and gave a few hails of their own at the joint altar and cleansed some items in the holy water representing the Goddesses. 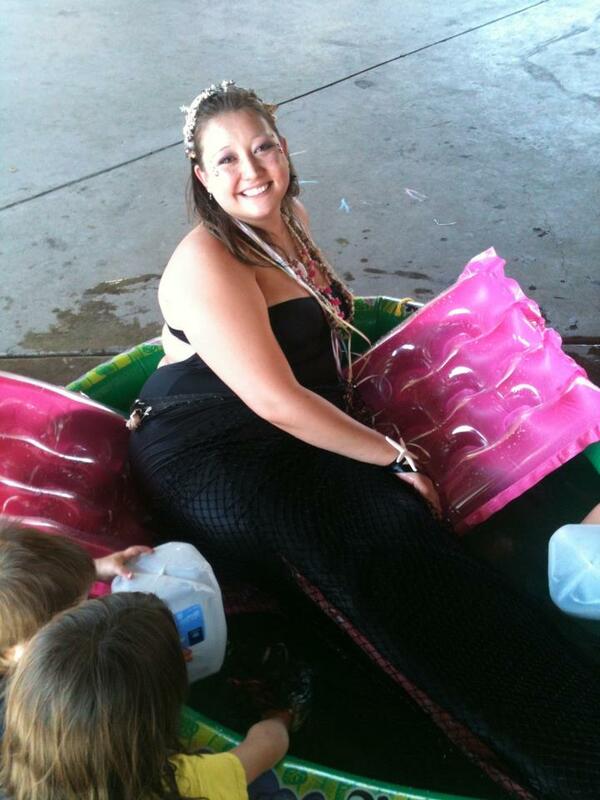 Near the end of the festival about 4pm, Lei Loni Tilley, a mermaid of the great salt lake, made an appearance and one of Salt Lake’s finest didgeridoo players was blowing his way to fame at pavilion one. 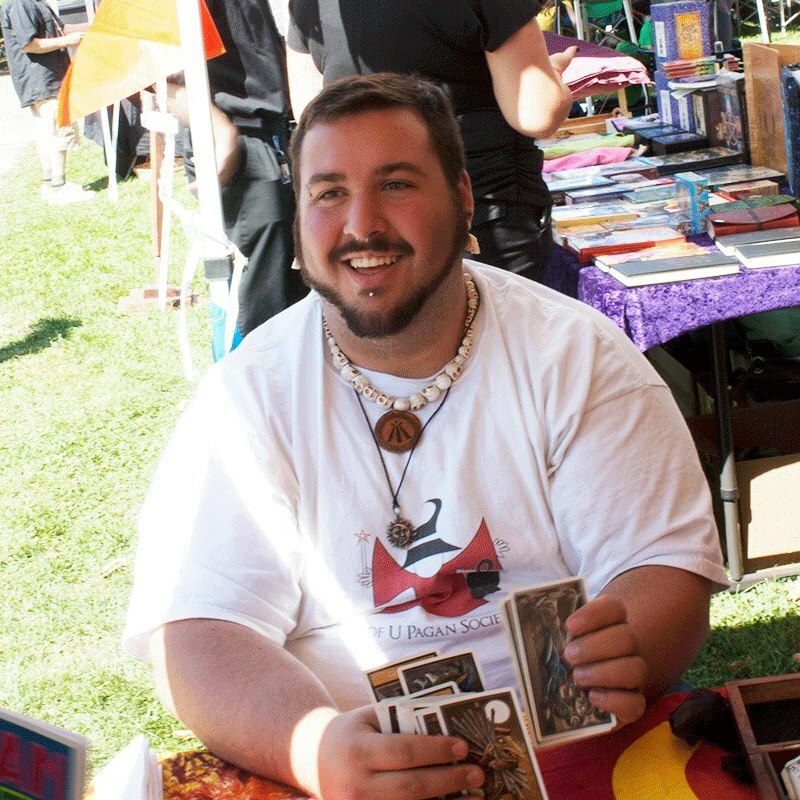 Even so, the line for tarot was so long, the sign had to be taken down to ensure the booth could be packed up by the closing time at 6pm! 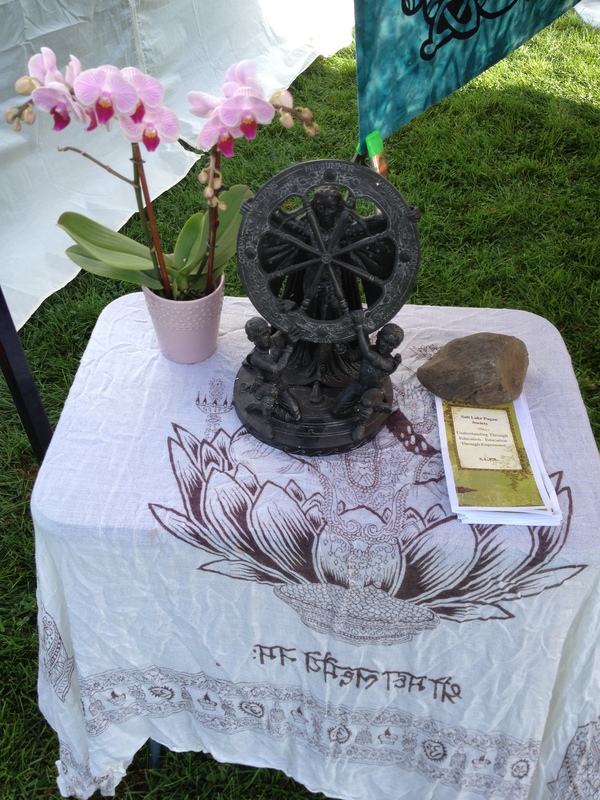 All in all, it was a wonderful event. 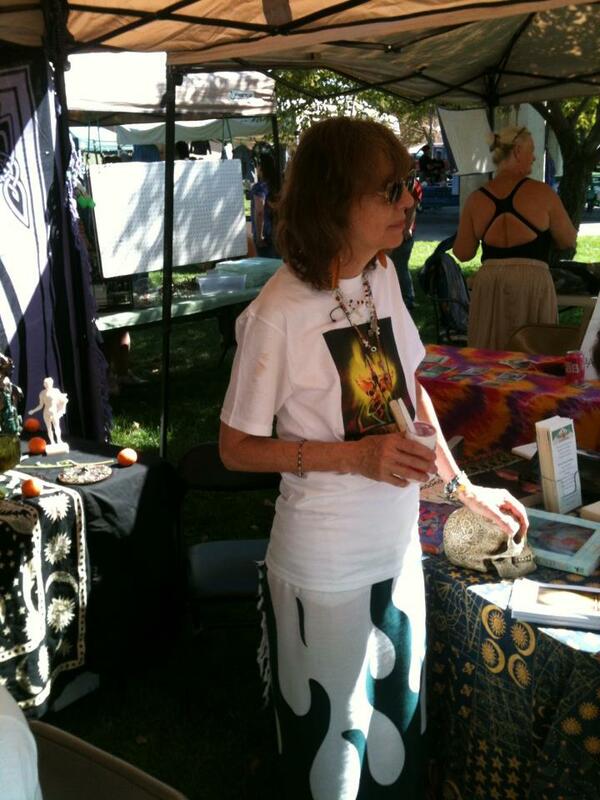 UUPS and IDF met and talked with hundreds of people as well as giving advice, news, comfort and solace to hundreds through the tarot. 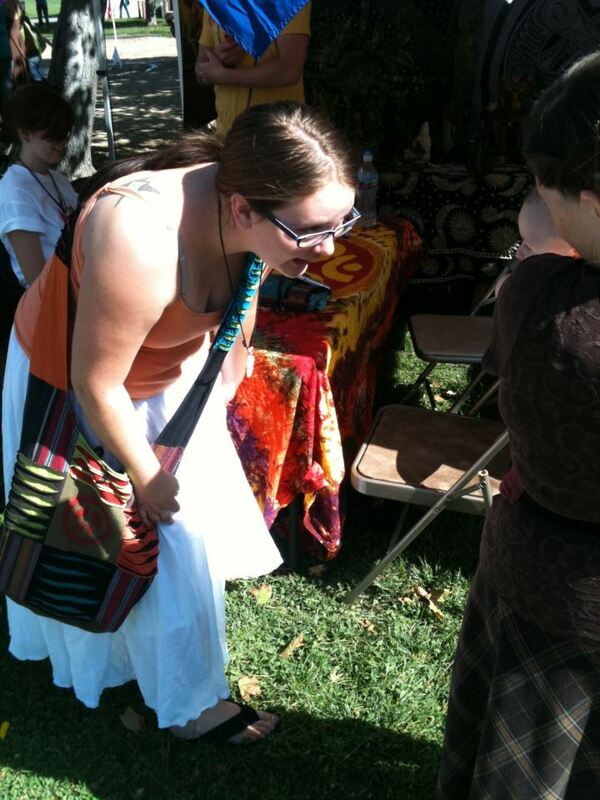 Pagan Pride Day 2010 Successful! 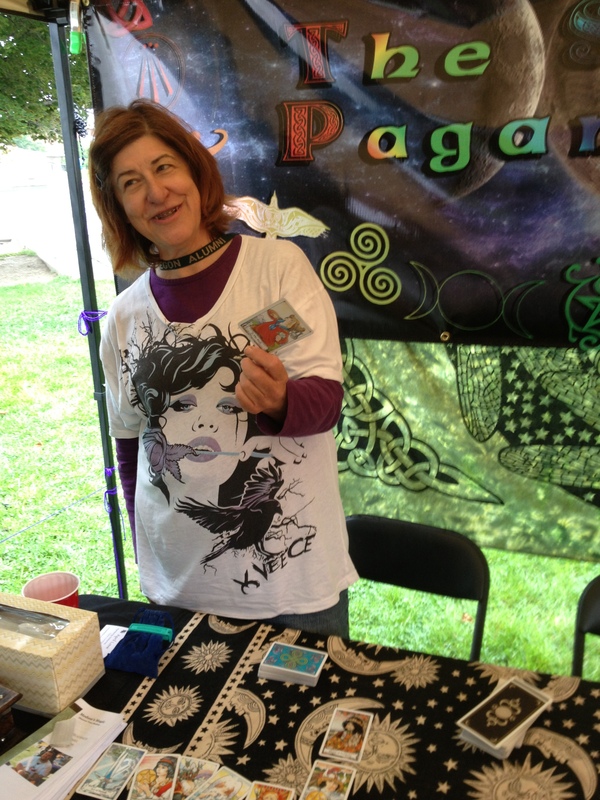 Thanks to all who came and helped out at Pagan Pride Day! 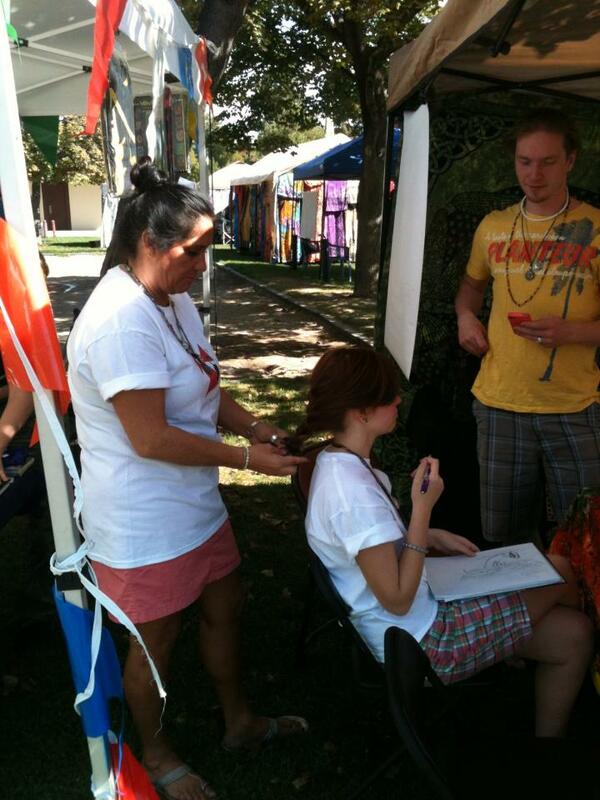 We had lots of people stop by and sign up, take information, become members and more! 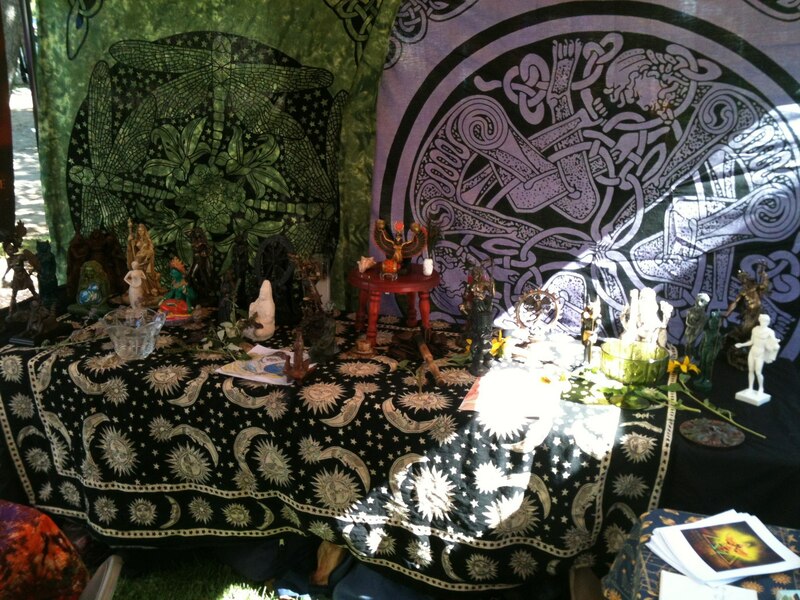 We shared a joint booth with USUPA (Utah State University Pagan Alliance). 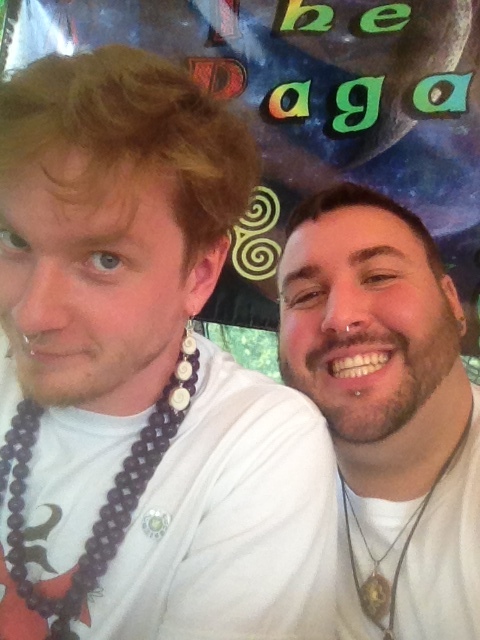 We can’t wait ill next year! 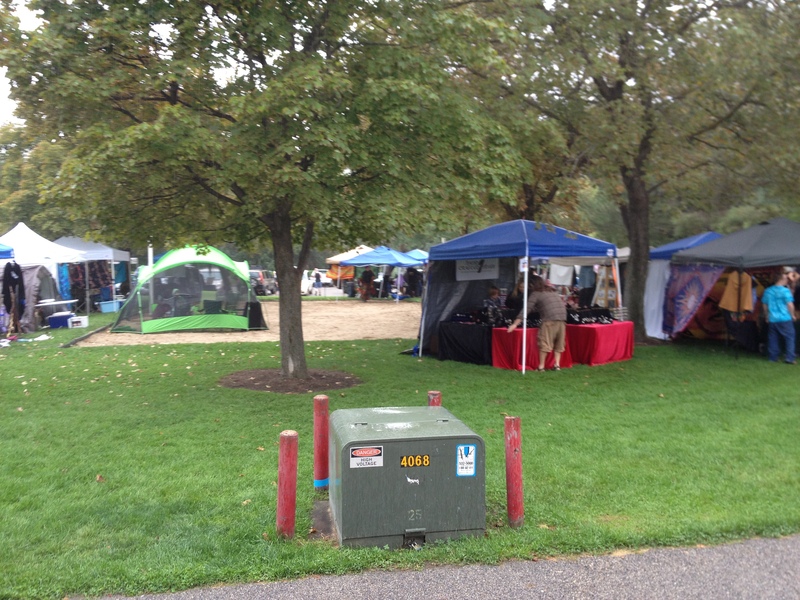 PPD was held at Murray park on Saturday September 11 2010, from 9-6 and included a noon time ritual performed by the Temple of Isis.